Fabio Capello has named his full squad for the June 4th European Championships qualifier with Switzerland, making for some very interesting football boots choices. Under Armour-sponsored striker Bobby Zamora makes his first international appearance in 2011, whilst Nike will be pleased to see that Rio Ferdinand also makes the grade. Umbro continue their spell of backing solid international players as they are set to have no less than 7 representatives in their football boots at Wembley at the start of June, with Darren Bent a strong candidate to start with Wayne Rooney suspended. 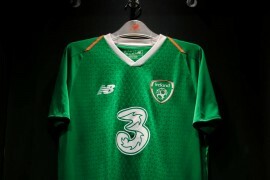 adidas and Nike are likely to watch the wide players with great interest against the Swiss, as a combination of adiZero Prime wearers Ashley Young and Stewart Downing proved scintillating against Ghana' – but Nike’s Mercurial football boots duo of Theo Walcott and Adam Johnson have proven their goalscoring credentials in previous matches. However, the inclusion of CTR360 II man Jack Wilshire is likely to raise more than a few eyebrows, as he is still technically in contention for the U21’s squad for the European Championships in Denmark – potentially hinting that Capello wants him to step up to the senior side on a full-time basis. Darren Bent, Peter Crouch, Jermain Defoe, Bobby Zamora. Didn’t Jermaine Defoe pull out? Hey so a new article every now and again would be cool KyleÂ .